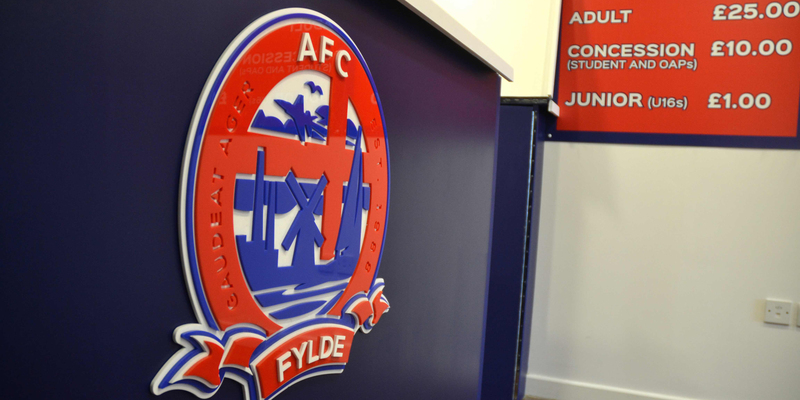 AFC Fylde have opened a brand new pop-up shop in Lytham, in anticipation of the Wembley final in May. The pop-up shop is based at 72 Clifton St, Lytham Saint Annes, FY8 5EW, and is open from 10am – 5pm Monday – Saturday, and 11am-4pm on Sunday. SEVEN AFC Fylde first-team players visited the club’s new Wembley pop-up shop on Lytham high-street, following its opening earlier this month. Mason Bloomfield, Lewis Walters, Alex Reid, Danny Rowe, Jordan Tunnicliffe, Timi Odusina and Lewis Montrose all made their way to the new shop on Clifton Street, on a bright Monday afternoon. The shop opened following the fantastic news that AFC Fylde would be heading to Wembley Stadium on May 19th, to contest the Buildbase FA Trophy final with Leyton Orient. The match represents AFC Fylde’s first return to Wembley since Kirkham & Wesham were crowned champions of the FA Vase in 2008, and a large following is expected again from the Fylde coast. The new shop has been busy helping customers book the fantastic Wembley packages that have been put on by the club, which offer amazing value once again. Package A includes ticket and coach travel, whilst Package B includes both these, as well as a commemorative Adidas match shirt, which will be worn by the players at Wembley. You can find out more about the special Wembley packages that have been announced by clicking here. 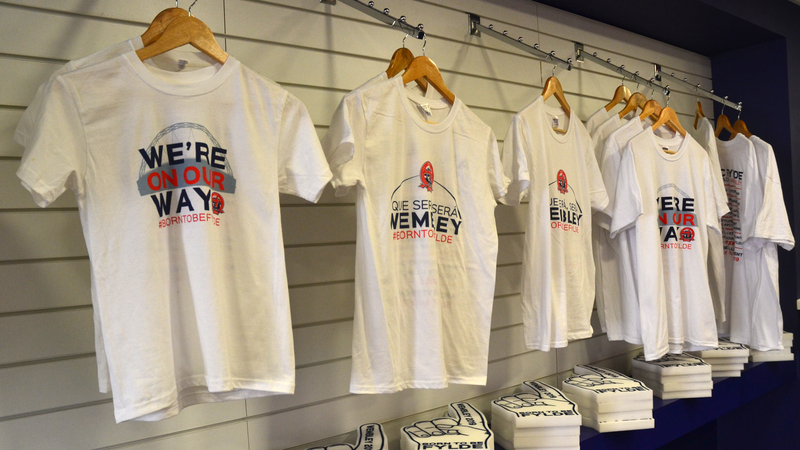 The pop-up shop also stocks new Wembley merchandise for Coasters fans to get their hands on ahead of the big day. This includes two types of Wembley t-shirts, car stickers and foam fingers, with more on its way soon. Make sure to pop-in to the shop during the run-up to the FA Trophy final, and make the most of the big day. For any further information regarding the AFC Fylde pop-up shop, or the Wembley packages in general, please get in touch with us on 01772 682593 or email info@afcfylde.co.uk.